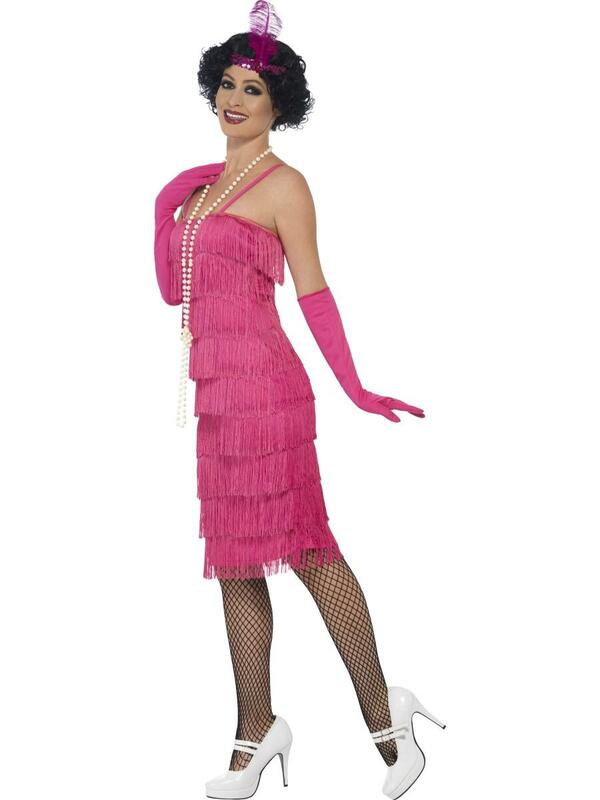 This Long Pink Women's Flapper Costume is perfect for fancy dress parties and events with a roaring 1920s theme. 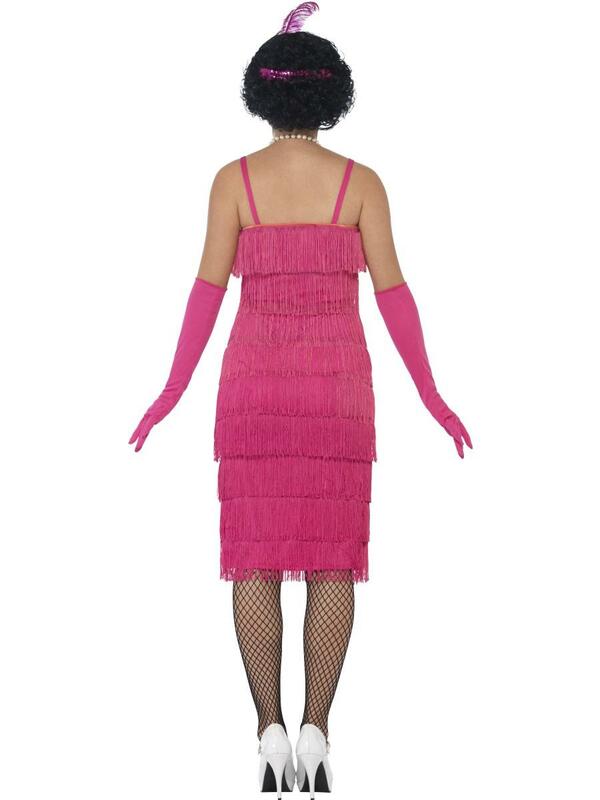 The costume includes the dress, headband and gloves. 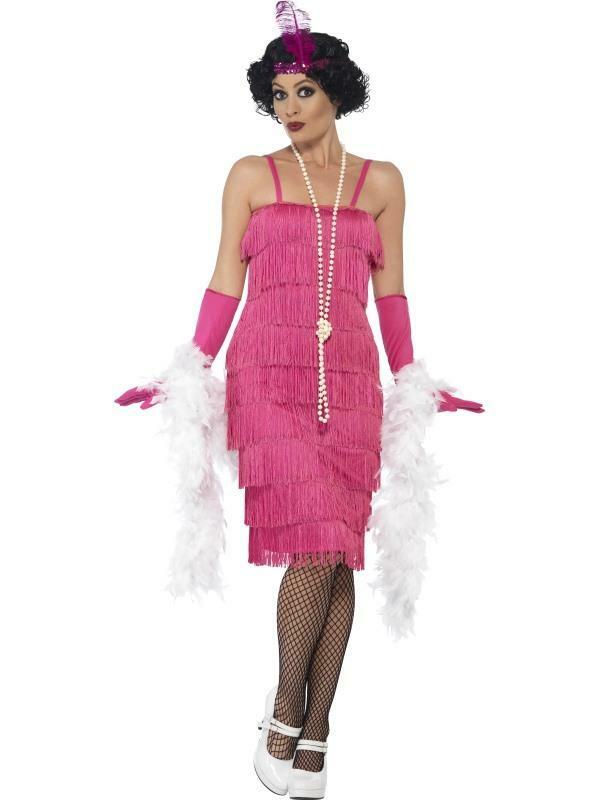 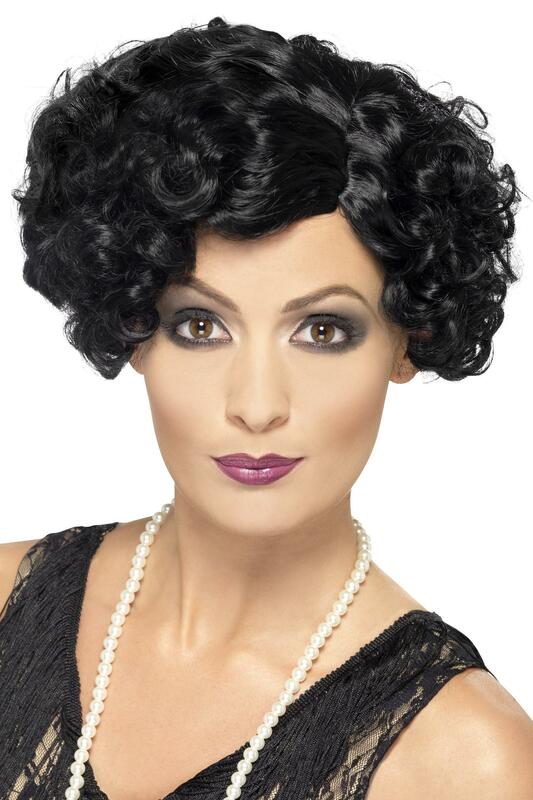 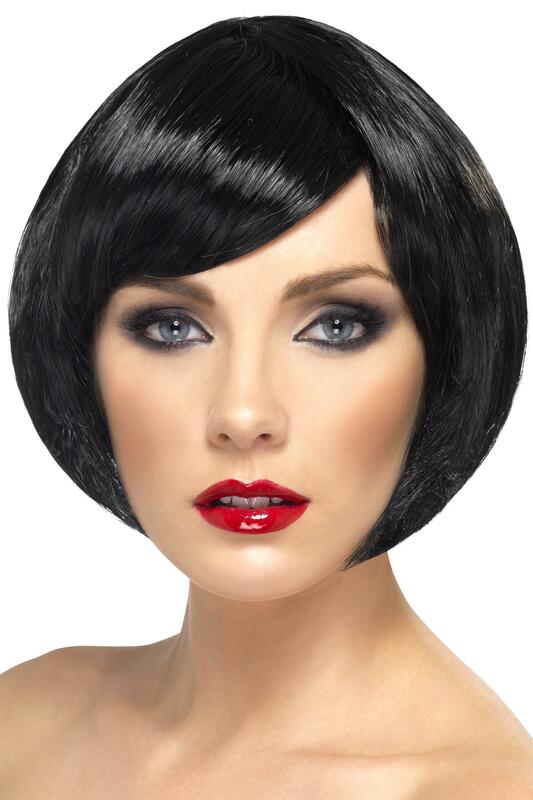 Simply finish this look with accessories, such as, fishnet tights, a necklace, heels, a bob wig and a feather boa then you're ready to dance the Charleston.